The Aston Martin Vantage V12 Zagato returns! Remember the Aston Martin Vantage V12 Zagato from 2011? Of course you do. A love letter to Aston and Zagato’s longstanding, somewhat on-off relationship. Only 150 were made. We drove the very first road-going V12 Zag up the Furka Pass, because we had to. Now, the V12 Zagato has returned, courtesy of a new brand company called R-Reforged and in celebration of Zagato’s 100th anniversary. Officially, they’re called the TWINS, because there are two. Thus, there will be only 19 Vantage Speedsters built, accompanied by 19 Vantage Coupes, all built at AF Racing AG’s subsidiary Vynamic GmbH: the former has worked with Aston on something called ‘Valkyrie’ (yeah, no idea what that is), the latter helping Aston prepare its Vantage DTM car. The specs of the TWINS haven’t been fully revealed, R-Reforged only noting how both will “combine the highest craftsmanship with the extraordinary design language of the 1950s and 1960s”. We suspect they’ll keep the old, naturally aspirated 6.0-litre V12 fitted to the original Zagato Vantages, chiefly because it’s one of the finest engine notes Earth has ever heard. “They are the most beautiful retro-future designed Zagatos to ever be produced,” Dr Andrea Zagato humbly proclaims. No word on price, but they’ll be ready before 2019 is finished. Sweet. It was only a matter of time before this happened: Aston Martin has finally revealed a drop-top version of its DBS Superleggera GT car, sporting the same 715-horsepower, 664 lb.-ft. 5.2-liter twin-turbo V-12 and 211-mph top speed. It has a revised aero package, and looks absolutely stunning. As you’d expect from a car like this, the DBS Superleggera Volante is basically a DBS with a convertible top. Like the coupe, power gets to the road via a rear-mounted eight-speed automatic ZF transaxle. The 0-60 mph sprint happens in just 3.6 seconds, and 0-100 passes by in just 6.7 seconds—0.2 seconds and 0.3 seconds slower than the coupe, respectively. At a top speed of 211 mph (the same as the coupe), the DBS Volante produces 390 pounds of downforce thanks to a newly designed Aeroblade system shaped to compensate for a lack of a roof. Exposed to conditions as extreme as the heat of Death Valley and the extremities of the Arctic Circle during development, the roof mechanism has been put through more than 100,000 cycles. Simulating 10 years of usage into a one-month test, the functional capability of the roof mechanism has been thoroughly tested. The 2020 DBS Superleggera will be priced from $329,100 in the US, including a $1300 gas guzzler tax—just over $24,000 more than the coupe’s MSRP. Porsche has made 911 Speedsters before, but none quite like this. Witness the 2020 Speedster, a creation of Porsche Motorsport, the department behind the brilliant 911 GT3, GT3 RS and GT2 RS. Philosophically, it’s a lot like the 356 Carrera Speedsters that tore up road courses around the US in the 1950s, and that’s a very good thing. We saw this Speedster in concept form last year, and now it’s ready for production. The gas cap in the center of the trunklid and the “Talbot” mirrors are gone, but thankfully, the 4.0-liter naturally aspirated flat-six and six-speed manual from the GT3 are still here. Now, the engine has independent throttle bodies like a GT3 R race car, for improved response and what we have to imagine is a magnificent noise. It makes 502 hp and 346 lb-ft of torque, which is good enough to get the car to 60 mph in 3.2 second and on to a 192-mph top speed. The Speedster is based on a 991 Carrera 4 Cabriolet, though its 3230-lb curb weight is about 200 lbs lighter than the car it’s based on. That’s thanks to lots of carbon fiber—the hood, front fenders, and the distinctive twin-hoop rear deck are all made from the stuff. Both the front and rear fascias are made from polyurethane, while carbon-ceramic brakes are standard. Even the roof is manually operated to save weight. This Speedster still weighs about 100 pounds more than a fixed-roof GT3, though. The suspension tuning is basically identical to the GT3, though the Speedster gets unique tuning for the rear-wheel steering system. Buyers will be able to option a Heritage Design package, featuring a unique silver and white two-tone paint, optional door numbers, and a “Porsche” decal running along the side. The brake calipers are painted black, while the 20-inch wheels are finsih in “platinum satin.” Inside, the bucket seats are wrapped in Cognac leather. Owners who option this trim will also get an exclusive Porsche Design Chronograph timepiece sporting a Speedster theme. Porsche will build 1948 examples of the Speedster, the number corresponding to the year its first road car was registered. Unfortunately, it won’t be cheap—the MSRP is set at $274,500 plus a $1250 delivery fee. That’s almost double the cost of a GT3, and nearly as much as a GT2 RS. Orders begin on May 7th, and the cars should start arriving at dealers towards the end of this year. So it begins. This is Aston Martin’s very first all-electric, full production car, housed in the rather delightful form of the Rapide. So, meet the Aston Martin Rapide ‘E’. Recognisably an Aston, then, but without the most recognisable thing of all – a socking great naturally aspirated, 6.0-litre V12. In its place sits a bespoke battery pack encased in carbon fibre and Kevlar, using more than 5,600 lithium-ion cells. Aston tells us there’s 800V and 65kWh in total. Aston also tells us this 800V system, designed in collaboration with Williams Advanced Engineering, is better at charging and offers “greatly improved thermal characteristics” than other electrical systems. We suspect you care less about the thermal characteristics, and more about the speed characteristics. A total of 601bhp and 700lb ft of torque is produced, which is quite a lot indeed. This is sent rearwards and rearwards only, to a pair of relectric motors recording some very intriguing times. It’ll go from 0-60mph in under four seconds, go from 50-70mph in just 1.5secs, and top out at a clean 155mph. And, because of that fancy new battery, Aston says the Rapide E “will deliver its performance in a consistent and repeatable way as would be expected from a traditional Aston Martin”. So much so, it reckons a full lap of the Nürburgring is possible “with no performance derating”. So a full range of 200 miles is estimated on the WLTP cycle, and it can recharge at 185 miles each hour with a 50kW charger, or 310 miles each hour using 100kW or more. Naturally, there are modes – GT, Sport, and Sport+ – and alongside those rear motors sits a limited-slip differential and revised spring and damper rates over the traditional, V12-engined Rapide. Other things? There’s a new honeycomb grille, a redesigned underfloor and a bigger rear diffuser. Plus forged aluminium wheels. Oh, and wave goodbye to those analogue dials so beloved of many. In their place sits a 10in screen providing all the Informations you require of a spirited electric drive. “As our first ever all-electric production car, it is truly a historic step,” explains Aston boss Andy Palmer. “One that signals Aston Martin is prepared for the huge challenge of an environmentally responsible and sustainable future. “As a car company, we cannot afford to passively allow that future to come to us. We have to actively chase it,” he added. Don’t forget, Aston has the Lagonda brand up its sleeve, which will be a fully electric, luxury car brand. Just 155 Rapide Es will be built, and prices are on application. ‘Lots’, then. Putting a name to a feeling isn’t always easy, even for a writer. It took me years to summarize what makes a great driver’s car feel great, but I finally settled on a single word: confidence. Behind the wheel of a great car, you’re confident driving as fast as the mood strikes you in any place, at any time, in any conditions. You know the car will always behave in a way that’s conducive to control. I’ve driven the BMW 8 Series three times, first as a prototype nearly a year ago, then again as a production car for a commute and a couple laps around our figure eight handling track a few weeks ago. Then I drove the new M850i convertible around southern Portugal on roads I’d never been on with lanes barely wide enough for the car. The narrow roads, the general lack of guardrails except in the deadliest spots, the jet lag, the 523 horsepower—none of it fazed me. That I should take it easy at first, feel out the car, didn’t even occur to me as I slid behind the wheel and dropped the top. Why would it? I have confidence in the 8 Series. But wait. This is the convertible. BMW says it’s 258 pounds heavier at a portly 4,738 pounds, and a lot of that weight sits high on the chassis. More weight and a higher center of gravity have surely ruined the car, or at least made it less good, right? To that, I say: meh. That’s less than the weight of two passengers. You can’t feel that difference in a street car, even a light one. It might show up on the Vbox when we test this car in a few months, but it won’t be significant. It doesn’t matter anyway. Even if the drop top handled a little less well than the coupe or was a little slower, it’d be the difference between super great and really great. Yes, the 8 Series is a large and heavy car, but it doesn’t drive like one. Credit whichever active system or combination of systems you like: rear steer, active anti-roll bars, active dampers, active differential, rear-biased all-wheel drive. The miracle of modern automotive technology is that with enough computers and actuators, you can make a car drive a size smaller. If not for its width, you’d say the 8 Series convertible drives like a 4 Series convertible. So no, I didn’t think twice about knocking the shifter over to Sport and poking the mode buttons until the gauge reads “Sport Plus.” I didn’t worry it was too much car for the road or that a tag team of physics and horsepower would get me into trouble. I know the 8 Series has a ton of grip. I know that if a freak storm blows in and soaks the road, the 8 Series still has a ton of grip. I know the steering is tight and responsive, never forcing you to move your hands on the wheel outside a parking lot. I know that if a nun carrying a box of kittens wanders into the road, the car has the poise and the reflexes to safely avoid them. I know that if in the middle of that maneuver another nun spilled a bucket of oil in the road in front of me, the 8 Series drifts so beautifully even Jonny Lieberman can look like Ken Block with more beard—but only if you turn all the safety systems off, which no one should ever do on a public road. The revisions, which include a 110kg increase in minimum weight, follow the decision last month to allow road-going hypercars to compete alongside the new breed of prototypes for outright honours in the WEC and the Le Mans 24 Hours round from September 2020. Motorsport.com has learned that the rule makers, the Automobile Club de l’Ouest and the FIA, have decided that it would be unworkable to try to incorporate what would in effect have been front and rear Drag Reduction Systems into the aerodynamics of road-based machinery such as the Aston Martin Valkyrie. The move also reflects an increase in the laptime target for the next generation of WEC frontrunner from 3m24-25s to 3m30s at Le Mans. A drive for a reduction in development costs was behind the introduction of moveable aerodynamics, which went hand in hand with a ban on more than one bodywork configuration for the prototypes. Another key tenet of the original rulebook was a strict limitation on the aerodynamic performance of the prototypes. It is understood that the concept of defining maximum downforce and minimum drag figures has been retained in the latest set of proposals, but the targets have been downscaled to accommodate less-efficient road car aerodynamics. 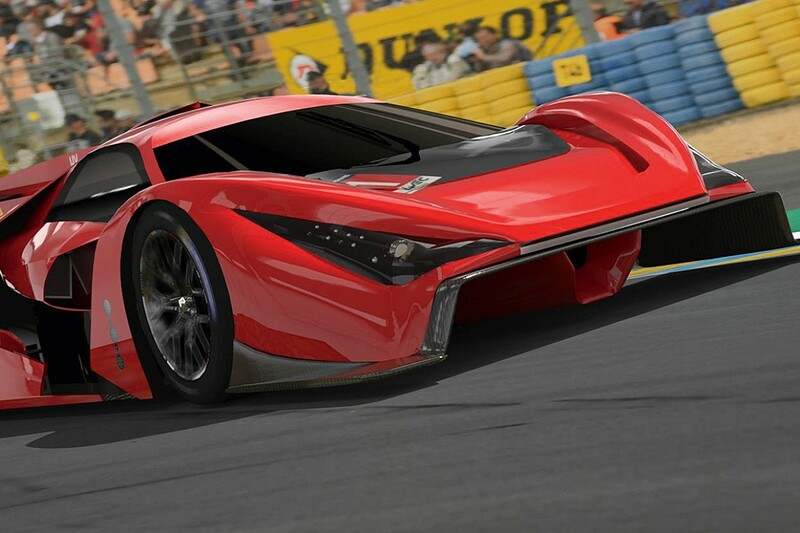 The minimum weight for all cars, whether pure-bred prototypes or road-based hypercars, is set to be 1150kg. That compares with the 1040kg figure in the regulations published last year and the 980kg minimum that was announced when the ACO and the FIA unveiled their vision for hypercar prototypes last June. Efforts to balance hybrid and non-hybrid machinery are behind the planned re-introduction of the rule that prohibits the deployment of the front-axle hybrid system below 120km/h (75mph). This rule, which was in place for LMP1 in the WEC in 2012-13, is designed to mitigate the advantage of running four-wheel-drive. The original hypercar prototype rules set out maximum power outputs from each car’s internal combustion engine and its hybrid system of 508kW (680bhp) and 200kW (270bhp) respectively. The latest proposals lay down a new maximum of 610kW (820bhp), which combines the outputs from the conventional engine and the energy-retrieval system in the case of hybrids. It also appears that that it is the intent of the rule makers to drop the fuel-flow limitations that have been at the heart of the current LMP1 category since 2014. The latest proposals also outline minimum production figures for road-going hypercars. Twenty cars would have to be built within two years of the race version’s debut. You could argue that the BAC Mono is the closest thing to a single-seat race car with a license plate. It’s one of the only single-seat road cars on sale today, and that makes it quite an interesting machine. And as Carfection’s Henry Catchpole found out, it’s the perfect car to take on Scotland’s epic North Coast 500. Well, perfect so long as you don’t mind wearing a helmet, and are prepared to get extremely wet and cold. Catchpole took the Mono to Scotland while his colleague, Drew Stearne, drove a Bentley Continental GT to show how the experience of driving the same road can vary wildly from one car to another. In the Mono, you really get to experience the road—all its camber, crests, dips, surfaces, and everything else. Your eyes will constantly be up, scanning to prepare for what’s next. In the Bentley, life’s a little different. The Continental GT handles, so you can enjoy the twisty sections, but really, this is a car that encourages you to slow down and enjoy the scenery. Scotland is one of the world’s most beautiful countries, and there are far worse places to see it than from the massaging leather seat of a hand-made luxury cruiser. Remember we brought you the new of McLaren’s new supercar? No, not the 250mph slippery one, nor the one made out of Lego. The other new McLaren. The grand-touring one. Well, here it is. Almost. The armour-plating that hides the new car’s shape has gone, but camouflage wrap still conceals the details. What we can see is that there are enormous air intakes directing a draught to a V8 that lies behind the seats. Seats numbering two – there’s not a three-seat Speedtail layout. But we are promised a more luxurious-than-usual cabin. And enough room in the boot for skis. The exhausts exit lower down the body than the 720S, so the diffuser is smaller. Downforce is second to refinement on the priority list here. You can find out more about McLaren’s pitch for the newcomer (minus the tedious NewRules marketing tosh) by tapping on these blue words. We’ll see the finished car early this summer. Will you be holding fire on your Aston Martin DB11 AMR purchase? Or are we at V8 McLaren supercar saturation point? Ferrari says that its latest one-off, the P80/C, took almost four years to develop, making this their longest special project to date. The work began in 2015, and for a client in love with the Ferrari prototypes of the 1960s, the base car had to be a 488 GT3. The GT3 race car has a 2-inch longer wheelbase than a 488 GTB, which allowed for a more cab-forward design with a longer rear end. The tinted wraparound windscreen is straight off a racing helmet, while the shaved off highlights give the P80/C superior aerodynamic performance. As you would expect from a track weapon, the area under the massive rear wing is mostly exposed, in true prototype fashion. Inspired by the likes of the 330 P3 and P4, the 350 Can Am, the Dino 206 SP and the stunning 250 LM, the P80/C was made entirely from carbon-fiber, finished in Rosso Vero, which is a bright red named by the client Ferrari refers to as “TK”. As you can probably tell, the P80/C was designed by Flavio Manzoni to be the brand’s ultimate modern prototype. So forget the FXX K Evo or the Monza SP1, and say hi to Ferrari’s fastest one-off yet.